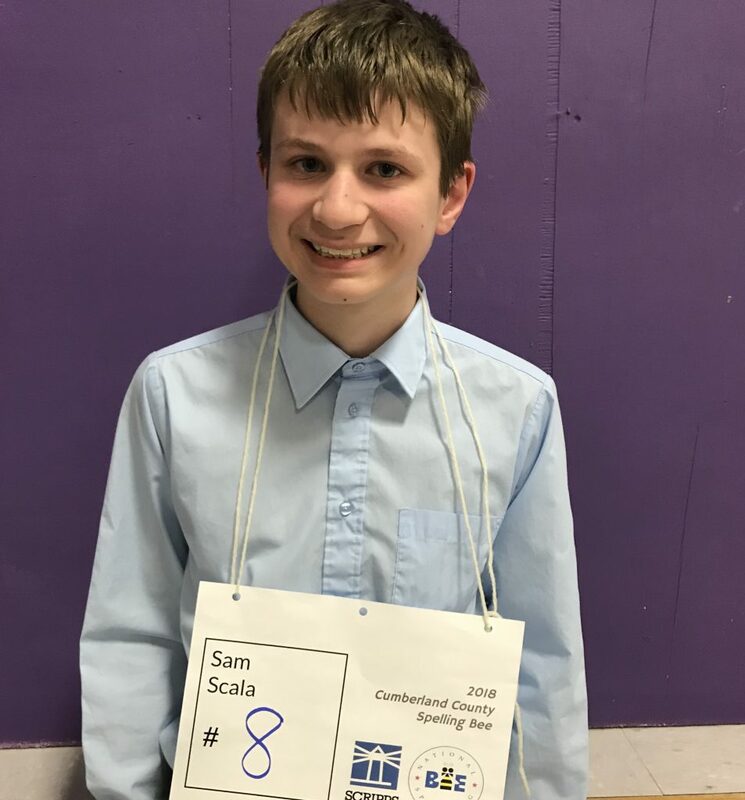 Sam Scala spells perfectly for 26 rounds against a field of 18 students from 9 schools to advance to the Maine State Spelling Bee on March 24. CAPE ELIZABETH — Sam Scala of Portland won the Cumberland County Spelling Bee in Cape Elizabeth Tuesday night. An eighth-grader at Lyman Moore Middle School, Scala spelled perfectly for 26 rounds against a field of 18 students from nine different schools. The spellers ranged from fifth through eighth grade. Scala’s winning word was Boswell, which Webster’s New World College Dictionary defines as “a biographer whose information is obtained through close observation of, or intimate association with, the subject.” James Boswell was a Scottish lawyer and writer best known for his biography of English writer Samuel Johnson. Scala will join all the other county champions at the Maine State Spelling Bee at Hannaford Hall on the campus of the University of Southern Maine in Portland on March 24.